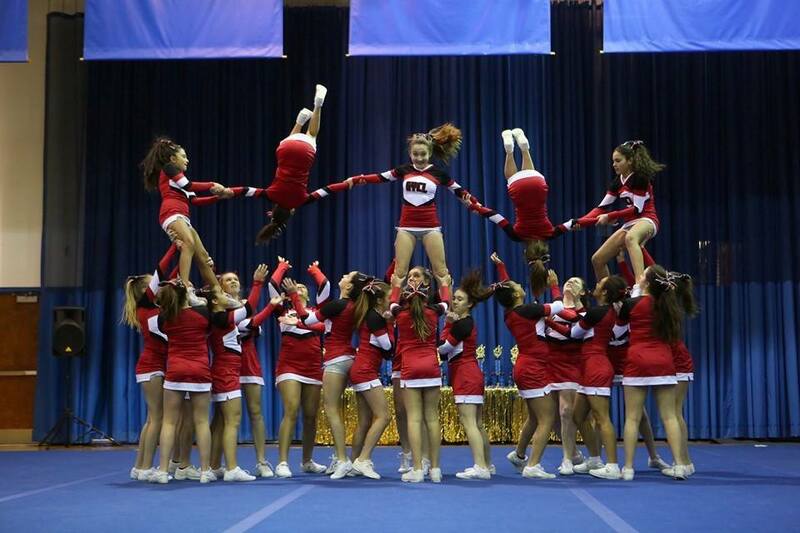 Greenwich United is the GYCL's Winter Competition Cheerleading Team! The United cheerleading team is made up of cheerleaders in 6th-8th grade from all 5 GYCL teams! The goal of this team is to get cheerleaders from across the town working together as one team and ultimately getting them ready to cheer at Greenwich High School. This team was started in 2012 as an Exhibition Team to perform at the Fairfield County High School Cheerleading Championships. In 2013, the coaches decide to enroll the team in competitions throughout Connecticut. It was a great decision because the Greenwich United team has won many competitions throughout Connecticut! For more information on enrolling your daughter for the Greenwich United Competition team, please email Jennifer at gyclcheerleading@gmail.com. All participants must have cheered on a GYCL team in the fall.